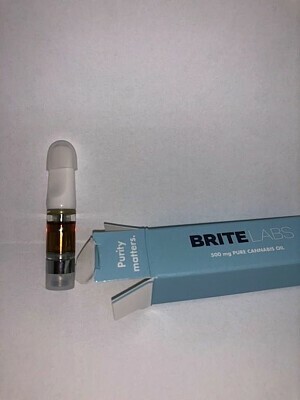 ※ Sativa ※ Brite Labs’ vaporizer cartridges contain pure CO2 cannabis extract ideally formulated for vaporization. By utilizing scientific botanical equipment and carefully applying our methods and processes, we strive to maintain the inherent cannabinoid composition and benefits of each strain in a potent medicine. We only produce 100% pure cannabis extract and do not add diluents, cutting or flavoring agents of any kind. Brite cartridges fit most 510-threaded vaporizer batteries.